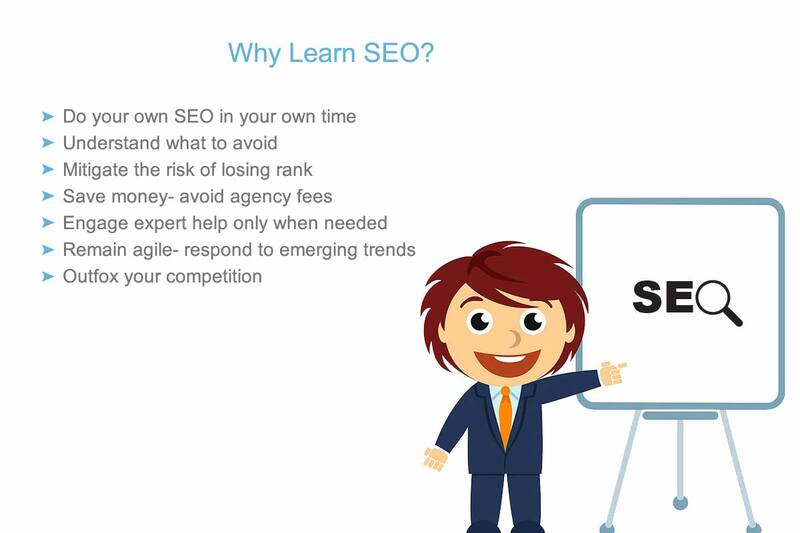 Home » Why Learn SEO? There are many advantages to learning search engine optimisation. The most notable is being able to take control of your online marketing campaign, and devote more time to optimising your website than an seo company would allocate under a monthly plan. Stay up to date with implementing your ideas and content development. As a website owner with a fledgeling or growing business, you often have waves of inspiration or ideas for content in the middle of the night (we all do!) If you have a positive understanding of basic SEO, you’ll be able to implement those ideas and create awesome content before your competitors even wake up. In a highly mobile and rapidly evolving online landscape, advertising and search engine marketing prowess no longer depend on massive budgets. Someone with time on their hands, as well as the necessary skills to do the job, can easily compete with the big players- and take advantage of the agility that comes with not being bound by red tape or bureaucracy within an organisation. Make your content and online marketing decisions quickly, and implement new techniques before they become mainstream. This is possible when you do your own website search engine optimisation. Who Studies Search Engine Optimisation? We have been training people in ethical, cutting-edge white hat SEO for well over 10 years. Students of our courses fit one of a number of profiles, which have been listed here. Everyone benefits from professional SEO tuition. Students who do their own website optimisation report excellent results across the board. People who work with an SEO company or provider are better equipped to deal with them and spot mistakes before they happen. This is by far, the most popular attendee profile. People who own small business and regularly pay an SEO company who either cold-called them or emailed them with “an offer”. As time went on, their website rank and traffic either went nowhere- or fell. In most cases, the people sank even more money into the SEO provider in the hope that things would get better- and you can guess the rest! We see a lot of attendees who have experienced this outcome- and it leads them to seek out SEO courses so they can learn for themselves. Maybe it’s someone from the office, perhaps it’s a part-timer who posts news, blog entries or special offers on the company website. 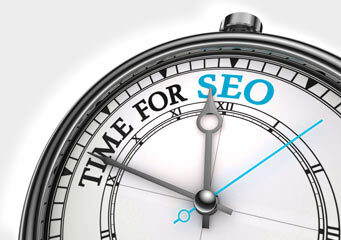 Management suggests that they try SEO, to get better Google rankings. Posting content for the sake of it, can often be counter-productive. Participating in a training course ensures all the content posted to the website meets current SEO best practices and does not end up getting the website spam-listed. Enthusiastic and keen to succeed, these people need to start somewhere. Solid training, ongoing mentoring and continued learning, gives someone the best chance at rising to the top of their game- and staying there. We train future SEO career professionals with a view to exceeding their clients’ expectations and retaining their customers. Much of the work you will do to optimise your website will revolve around content, quality and getting the message out to the world- and search engines of course! SEO courses– where you can learn and understand the “hands on” component of search engine optimisation is easy, and it means you’ll be able to work on your online visibility whenever and wherever you feel like it. You’ll also have the flexibility and agility to respond to developing trends and the changing landscape of the market you are in. If you’re like most marketers or business owners, you’re quite knowledgeable about the things you offer to the world or how your products and services address a niche or a requirement in the mind of the consumer. This is a fantastic foundation for search engine optimisation success, and our courses will teach you the technical things- the techniques and methods that enable search engine optimisation professionals to savour victory by way of improved rankings and increased revenue for the clients’ websites. The best SEO takes time to develop and implement, and as a business owner you often have blocks of spare time you can devote to communicating your marketing message to the world. If you’d rather be doing work you’re able to do yourself instead of outsourcing or paying someone else to do it, then search optimising your own website will pay dividends.You’ll enjoy lower costs- saving money on contract labour is always good. you’ll also know what work has been done and when- and sleep easy at night knowing that only ethical SEO work has been carried out on your website. The initial burst of search engine optimisation takes the longest- getting everything sorted, all systems, the structure- and of course, developing the right plan. If you have time on your hands, and the confidence it takes to work through things methodically, you’ll be able to do all that’s needed. Have the satisfaction of knowing that you contributed significantly to the rise in Google rank your website enjoys. Take the first step towards better SEO, and enrol in a course. Contact the Melbourne SEO Academy today to find out more.